A complete, intelligent solution for Small Medium Business including Office 365, Windows 10, and Enterprise Mobility + Security, that empowers everyone to be creative and work together, securely. 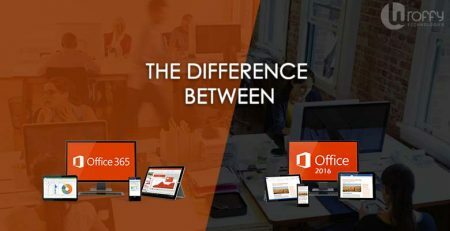 Microsoft 365 is an integrated solution, bringing together the best-in-class productivity of Office 365 with advanced security and device management capabilities to help safeguard your business. 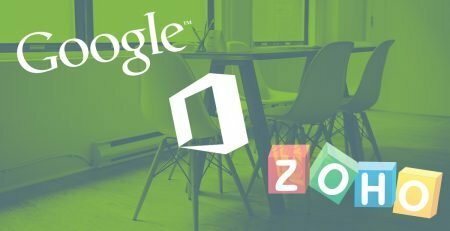 Today Everyone needs to be connected so Microsoft provides an opportunity here to democratize access to these tools to every small and medium sized business. With more than 100 million monthly active users of Office 365, and more than 500 million Windows 10 devices in use, Tech giant Microsoft is trying to combine their products and services into a single holistic solution to help small medium business succeed. 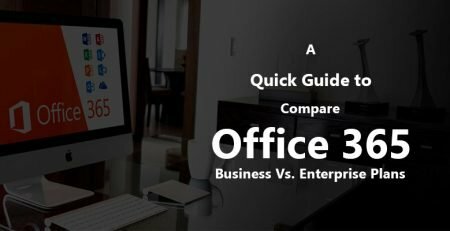 Microsoft 365 comes in two variants: Microsoft 365 Enterprise and Microsoft 365 Business. Microsoft 365 Enterprise is for enterprise organizations and integrates Office 365 Enterprise, Windows 10 Enterprise and Enterprise Mobility + Security. Microsoft 365 Enterprise comes in two plans—Microsoft 365 E3 and Microsoft 365 E5. Microsoft 365 Business is designed for small medium sized businesses with up to 300 users and integrates Office 365 Business Premium with tailored security and management features from Windows 10 and Enterprise Mobility + Security. Stay up-to-date with the updated versions of Word, Excel, PowerPoint, and more. Connect with customers and coworkers using Microsoft Outlook and Exchange. 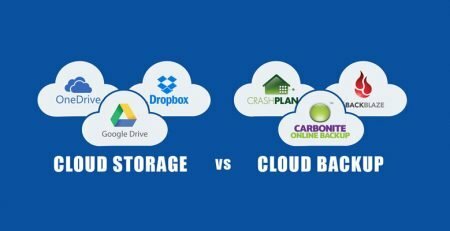 Manage your important files from anywhere with 1TB of cloud storage. Help secure your business data on personal and company-owned devices. Manage new Laptops, PCs and devices faster and more easily than ever. Guard against harmful attachments, suspicious links, and other malware. 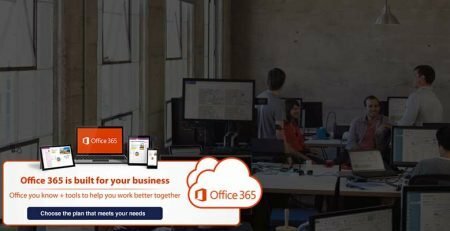 Microsoft 365 for Business brings together features from across Microsoft’s offerings in a solution designed for small and medium-sized businesses. It’s powered by Office 365 and Windows 10, with device management and security features to help ensure your company’s data is protected. The artificial intelligence implemented into Microsoft 365 Business Word will help you become a better writer. It will highlight the kind of grammar miscues like wordiness and double negatives that get missed with the existing helpers available . Microsoft 365 Business also accelerates productivity by making presentations easier to read and making it easier to send graphs and maps in Excel. You can even corral customer feedback into sentiments with one click and then post them to graphs and maps effectively changing words to visuals. Microsoft 365 Business will use AI to sort your emails in Outlook. These will be curated and the ones you read most often will be placed in a focused inbox. One click will also give you a summary card of all the most relevant points in any email. Choose from an assortment of pictures for those important PowerPoint displays and have them sized automatically into existing templates. This latest version takes over the need for graphic design know how. This new feature recognizes shapes and intent. Draw a triangle. The app recognizes it as such and adds angles. The AI feature also draws cells that expand and contract automatically as you fill in squares so everything is proportionate. This type of collaboration is possible on a single document shared and modified across the world. 3D objects placed in PowerPoint presentations will get an extra boost. The new morph transition will add an animation effect so more detail and visual angles are possible. Take the 3D slide from the PowerPoint presentation. Place the subject on a table or somewhere else in the real world. Snap a picture and even add it back into the presentation with Microsoft 365 Business. This allows small businesses to classify, label and protect any document. This protection is called persistent in that it travels with the document wherever it goes. It can also automatically encrypt a document by recognizing a preassigned security name. An old idea reworked, this addition to the Microsoft 365 Business offering includes the ability to pull apps in to one central location so everyone can work with the same set of tools. 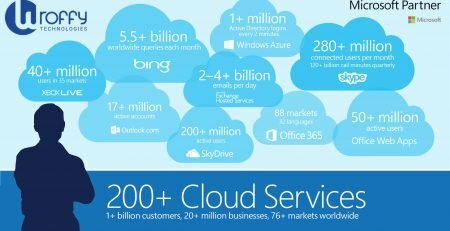 Who is Microsoft 365 Business is intended for? 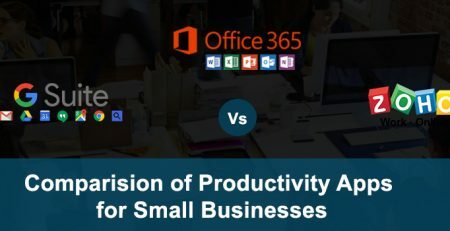 Microsoft 365 Business was introduced for small and medium-sized businesses within 300 users who need a solution that provides their employees with the best-in-class business productivity and collaboration solution of Microsoft Office 365 and device management and security solutions to safeguard business data and assets across devices. If you want to deploy Microsoft 365 Business in your organization than you must be running Windows 7, 8.1, or 10 Pro on current desktops. Current Windows 10 Pro PCs should be running Creators Update if they have not already done so. Windows 10 Pro upgrade rights are included with the Microsoft 365 Business preview if the target machines are presently running Windows 7, 8, or 8.1. 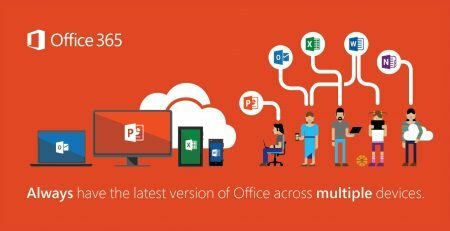 How to Buy Microsoft 365 Business for my organization? Partner-assisted purchase & deployment is the recommended way to deploy Microsoft 365 Business in your organization. 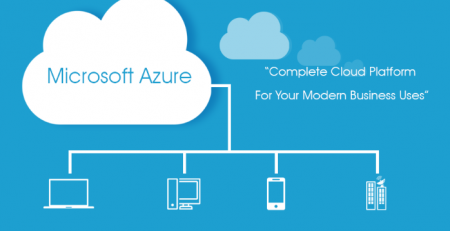 Wroffy is well-equipped to help you understand the options and make the best recommendations for deploying Microsoft 365 Business in your organization. Wroffy is Microsoft Partner in India provides Microsoft volume licensing solutions (such as Windows 10 Pro, Office 365, Office 2016, Visual Studio, Exchange Server, Windows Server, SQL Server), Open Value, Open Volume Licensing, and Open Value Subscription. 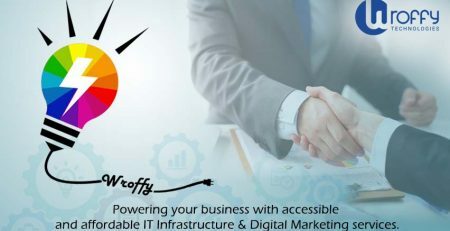 Wroffy is one of the leading IT companies who provides sets of software, cloud applications and Office 365 services, Microsoft Azure Cloud Solution.